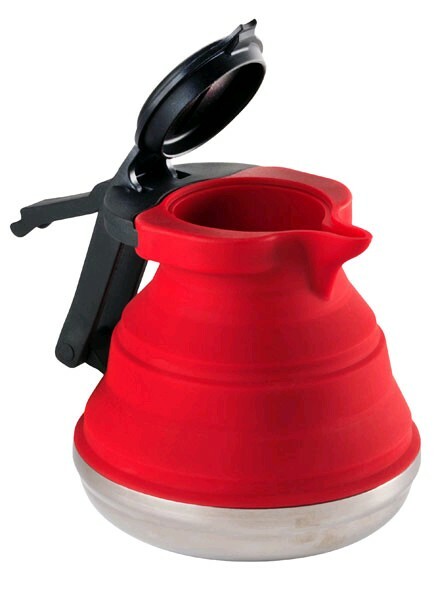 Collapsible Kettle - Ideal for the galley as it can be packed away flat for easy storage. Made from silicone with a stainless steel base, it holds 1.2 Litres and can be used on gas, electric & induction hobs. It's lightweight, easy to keep clean and won't dent or wear out.